You have some fantastic tension building in your life this year! I say fantastic, because tension is how we hold energy until we put it to productive use -- and that's exactly what your astrology this year is urging you to do. Your sign is already the sign of initiating action and "Just do it!" But what do you do when Mars, the planet giving you that energetic signature, spends a long time moving backwards in your relationship sign (Libra)? And what do you do with all that accumulated energy afterwards? Eric will be recording your reading very soon: the perfect gift to give yourself, and one that will last you until your next birthday. Now is your chance to pre-order for only $19.95 -- a $10 savings on the published price. "I listened to the birthday report last night and was blown away as usual -- right on the money." "I was so astounded at Eric's completely intuitive and amazing 'feel' for a much more deep and meaningful explanation of the approaching transits. He never ceases to amaze me with his very unique ability." 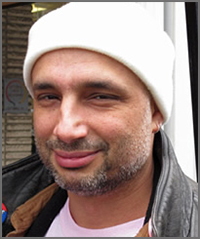 Eric will also record a tarot reading using the Voyager Tarot by James Wanless, which lends itself to a vibrant, intuitive, visually centered take on the messages explored in the astrology, and always includes some fun surprises. One listener described the tarot portion as "absolutely mind blowing and beautiful." And did you know that 2014 features two eclipses on the Aries-Libra axis? You have an opportunity to advance your life by leaps and bounds in the coming months -- but as Louis Pasteur once said, "chance only favors the prepared mind." 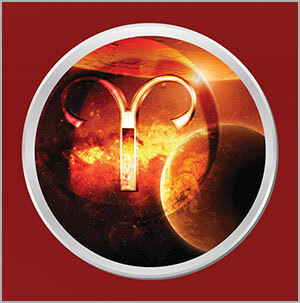 Your 2014-2015 Aries birthday reading is key to that preparation. Once Eric publishes the Aries birthday reading, the price will increase -- so pre-order now for the best price.